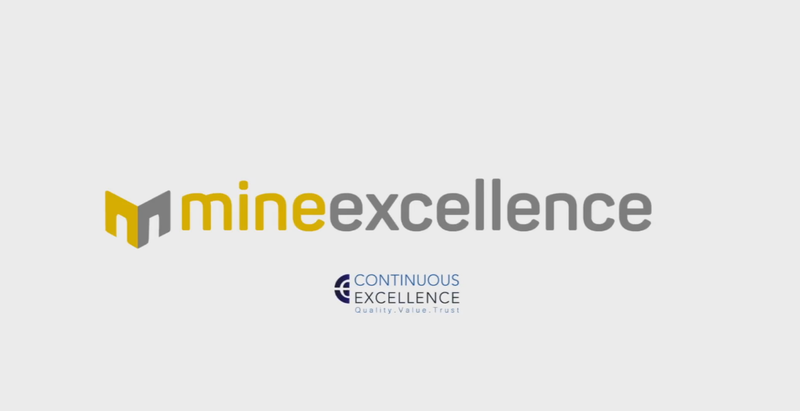 The major challenge that arises in Underground drill and blast is w.r.t designing correct stopes to achieve desired fragmentation, clear space for excavation and minimize extra breakage by controlling ground vibrations. 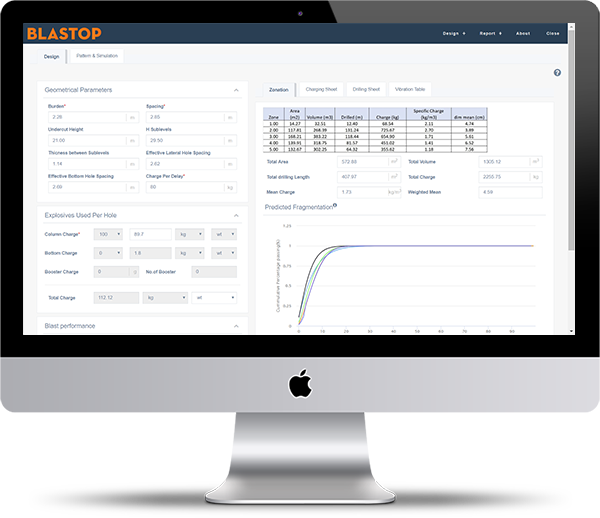 Our software, Blastope takes into account all of these challenges and provides a comprehensive solution. 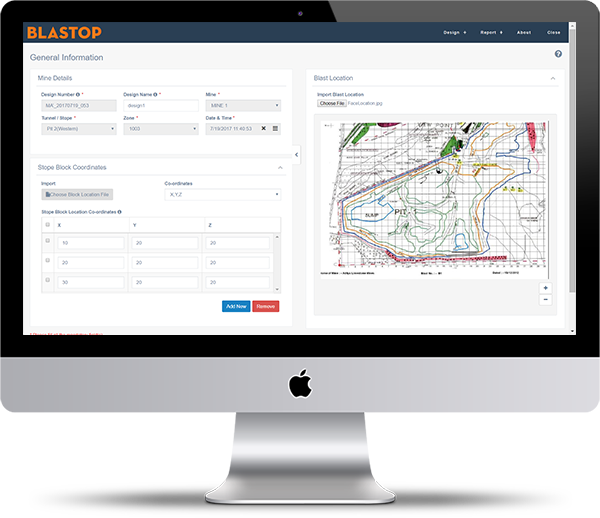 The inputs to the software include basic geometrical, geological and geotechnical parameters to design a Ring Blasting pattern for Stope Blasting. Generation of drilling sheet, explosive charge distribution (charging sheet) and timing/delay assignment to the entire ring pattern of holes. Kuz-Ram Fragmentation model has been incorporated to predict fragmentation and generate the corresponding cumulative size distribution table and semi-log plot. Multiple decking and initiation are also supported. A vibration table based on site specific exponent and constant is generated to properly estimate the ground vibration value taking distance and charge per delay as inputs.